"Snapdragon 800 can definitely be quicker than ARM's Cortex A15"
He's comparing what he has (Snapdragon development tablet) with other things that he has. Clock frequency is pointless to compare by itself. Sure A15 might be faster clock-for-clock, but it's also more power hungry so you won't be seeing it hit 2.0 Ghz anytime soon. Looks like a Snapdragon 800 can easily clock higher which more than compensates its IPC disadvantage compared to A15 while keeping power usage in check. 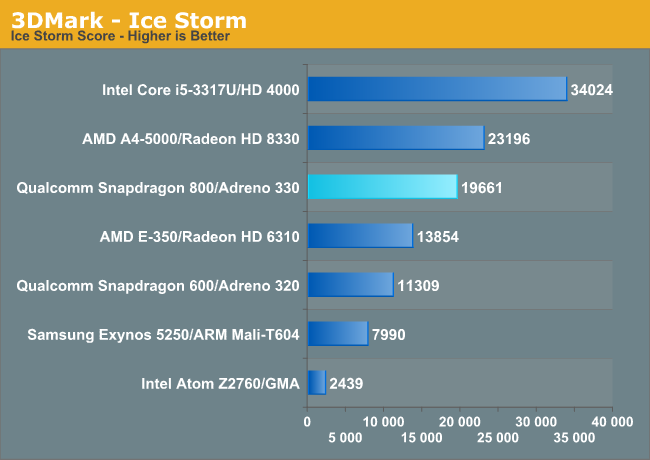 A15 is already at 1.9GHz with Tegra 4. 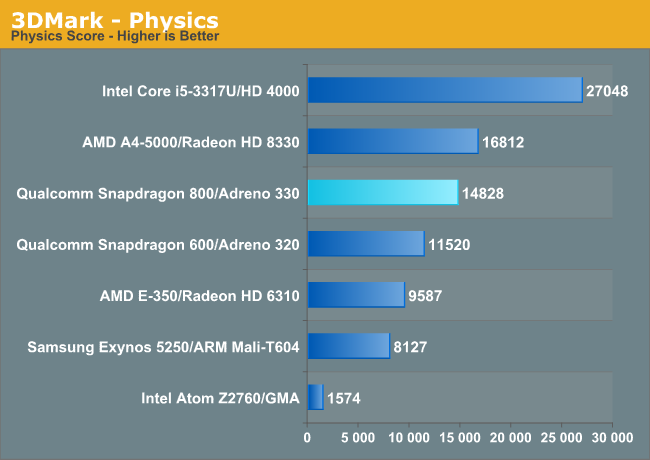 If A15 was built on 28nm HPM then it would also reach 2.3-2.5GHz. I bet we'll get something like that this year. 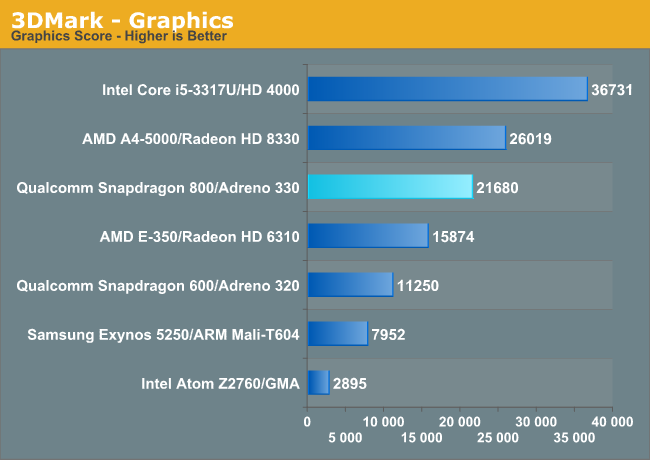 Yes, the architecture comparison between A15 and Krait 400 and next-gen Swift will be very interesting. 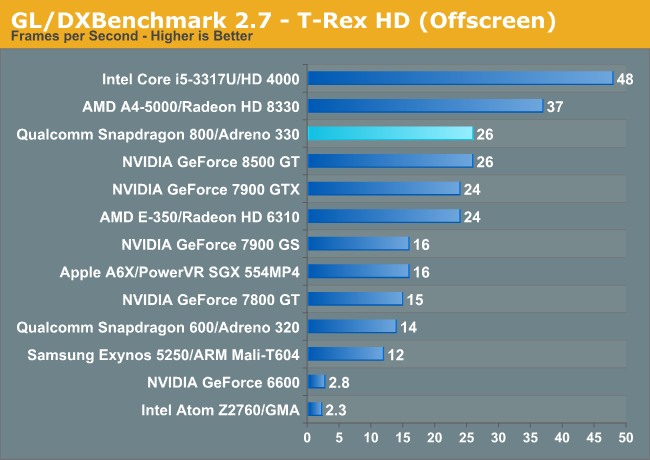 Add in Bay Trail and Temash and we CPU enthusiasts are really experiencing a golden age. When was the last time we had so many different competing designs and architectures? When you compare the progress from Scorpion to Krait 200 to Krait 400 (or A9 to A15) in a matter of 2 years... the pace of development in the mobile world is astonishing.